Bright and warm, incredibly charming and beautiful Portugal is a popular destination for numerous tourists from all over Europe and other countries across the globe. Annually, over twelve million foreign tourists visit this magnificent country in search of some magic feeling and unforgettable experience. However, there are also those who head to this country on business. As both types of travelers need a reliable means of transportation, 8Rental is glad to offer its services. This car rental has managed to gain the trust of thousands of travelers from all countries of Europe and now proposes to rent a car with driver in Portugal, too. Once you appear here, you will instantly realize the whole importance of having an experienced driver behind the wheel of a premium vehicle. No longer will you have to struggle to catch a taxi in the street, or wait in queues on the bus stop. Your chauffeur will be at your disposal as long as you need. Visiting 8Rental's official website, you may come across a series of various vehicles starting with standard class cars and ending with opulent limousines. If practicality is what you pay attention to the first, you may choose a BMW 5 to hire a chauffeured driven car in Portugal. Besides being equipped with premier amenities, this car looks gorgeous and feels great on the road! Anyway, if you plan to surprise your beloved person, it's wise to hire a limo with a driver in Portugal. Select a cozy Chrysler c300 with fascinating interior design and impress her. Driving along Portugal's roads will be a mere pleasure while having a little stop to be secluded in the car, is an experience you will cherish forever! Rent a chauffeured limousine in Portugal and remember that the best conditions in the region are offered by 8Rental. Nevertheless, who said that you are supposed to be driving alone? Why not gather with all your friends or colleagues and head to sunny Portugal this weekend? Agree that this is an enchanting idea for the implementation of which you will need to rent a minivan with a driver in Portugal. To avoid any inconveniences, book the vehicle online beforehand and have the minibus you chose meet all of you right at the airport. By the way, 8Rental is the service that deals with any airport in Portugal and can send its vehicles to Lisbon Airport, Porto Airport, Cristiano Ronaldo International Airport, and others. A Mercedes Viano just as its upgraded V model are designed to drive only up to eight people, while an ampler Mercedes Sprinter can comfortably accommodate two dozens of tourists comfortably. So, you can hire a chauffeur driven minibus in Portugal regardless of the number of your fellow-travelers. 8Rental has enriched its fleet with huge buses. Mercedes Tourismo is a capacious coach that will make the journey of sixty-five passengers inside it unforgettable! Rent a coach with a driver in Portugal if there are too many of you, and you need a toilet, a fridge, reading lights, air conditioning and other comfort features on the road. 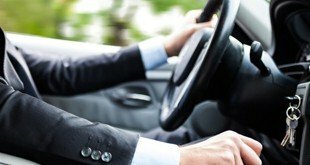 8Rental is proud to inform that its entire staff of chauffeurs is composed of exceptionally professional licensed drivers. They are ready to undertake the responsibility of transporting numerous passengers safely all over Portugal's cities. Depending on the city you land in or plan to spend your time in, 8Rental will provide you with a suitable driver who will not only speak your language but also drive any direction necessary without any hustle and bustle. 8Rental has a line of bonuses for every client. First of all, we are commonalty online waiting for your quotes, hence be free to apply for a car whenever it's convenient for you. Secondly, we shall provide you with free fuel no matter for how long you will require the vehicle to be at your disposal. Then, medical insurance in case of an accident is guaranteed. Surely, 8Rental is a reliable chauffeur service and, fortunately, there has been no accident with our participation, and still, we are ready to give safety guarantees to our customers. And finally, we undertake the payment of any fees or taxes that may occur. No matter whether you are looking behind or ahead in Portugal, you are sure to be charmed. It is a country where you can salute surfs on one side, and admire fine architecture on the other. 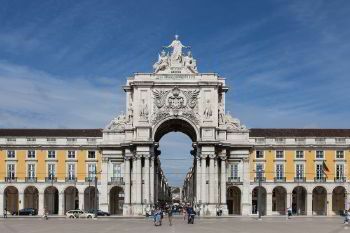 8Rental operates in all major cities of this country including Lisbon, Porto, Sesimbra, and others. Hence you can experience the utmost comfortable driving whichever city you are landing in. 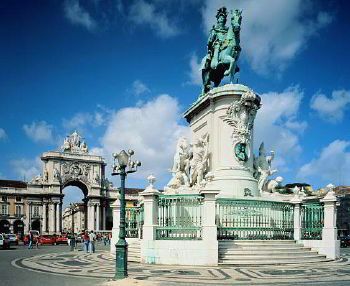 Our chauffeurs will drive you to the Alfama, Serralves, Castelo de Sao Jorge, Mosteiro dos Jeronimos, and other sights. Once you are here, remember to enjoy the fabulous nightlife in Lisbon, the incredible fairy-tale Sintra, the most exquisite local restaurants and calming beaches with sky blue waters and golden sands. Enjoy Portugal with us, and you will fall in love with it!